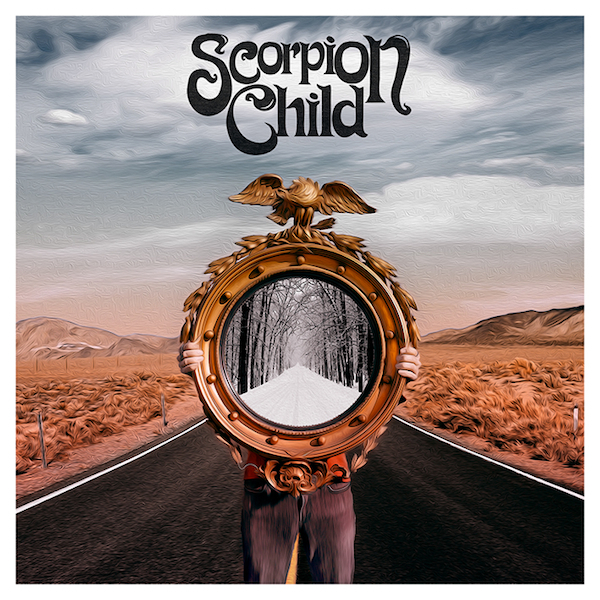 Austin based, hard rock sensation, SCORPION CHILD have revealed the artwork and tracklist from their forthcoming self-titled debut studio album. 'Scorpion Child' will be released June 24th, 2013 via Nuclear Blast. Produced and arranged by Chris “Frenchie” Smith (THE ANSWER, ...AND YOU WILL KNOW US BY THE TRAIL OF DEAD, THE TOADIES, DAX RIGGS), the self-titled album was recorded using analog recording technology. Scorpion Child come from lots of different places, not only logistically but musically. Their sound heralds back to early 70’s kraut and psych-rock with a modern twist and lists Pentagram, Hairy Chapter and Lucifer’s Friend as influences. They originally formed in 2006 and have spent the last few years perfecting both their songwriting and stage presence. Aryn Jonathan Black fronts the outfit with a siren-like voice reminiscent of a young Robert Plant. Guitarists Christopher Jay Cowart and Tom Frank layer high-energy twin-guitars over the band’s driving rhythm section fueled by Shaun Avants (bass) and Shawn Alvear (drums).